You wouldn't know it by this photo, but we were really getting rained on. The sky on the other side of the building was pitch black- it looked liked midnight, instead of seven o'clock. 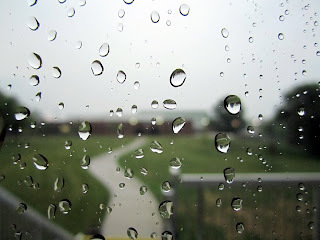 And, I like how you can see upside down images of the lawn and building in the water droplets.